Search engine optimization is a staple in any effective digital marketing strategy. It delivers people to your site who know exactly what they want, and are ready to take action. It also gives businesses the opportunity to reach searchers all over the world. But what if that isn’t your goal? What if your business only serves a specific city or region? That’s where local SEO comes into play. 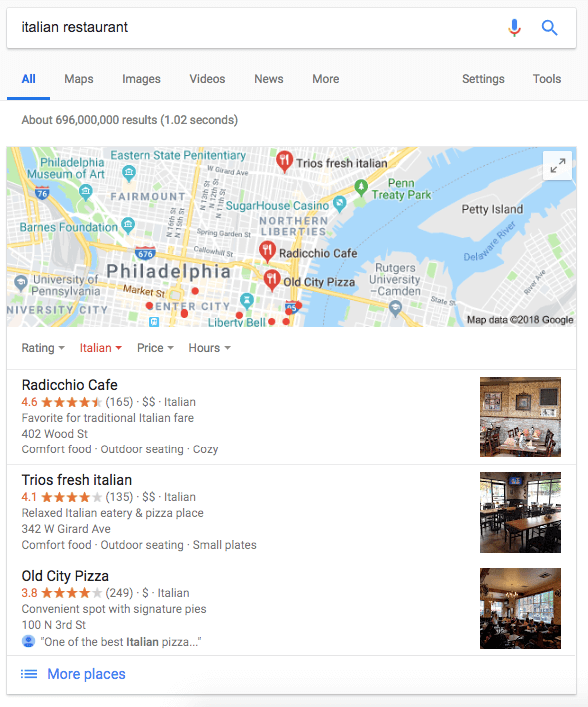 Keep reading to learn what local SEO involves and why it’s so important, along with a step-by-step breakdown you can use to start optimizing your site for local search. Local SEO is a subset of search engine optimization that involves optimizing your site to rank well for location-based searches. After all, reaching searchers halfway around the world won’t do your business any good if you can’t actually sell anything to those people. Of course, if you’ve ever made a search like this on Google or another search engine, you’ve probably noticed that the first result is typically a map of businesses that meet your description. 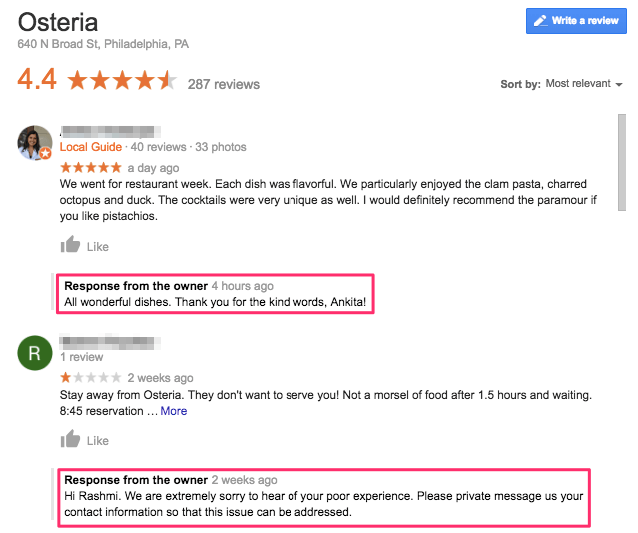 They not only see a map of restaurants that meet their description, but also a list with more information on each of them, including their address, photos, and reviews. And the only way to improve the chances that your business appears in Google Maps results for relevant local queries is local SEO. If you’re not yet using local SEO as part of your digital marketing strategy, you might be wondering if it’s really a necessary addition. But today’s consumers are turning to search engines to find local businesses more than ever. 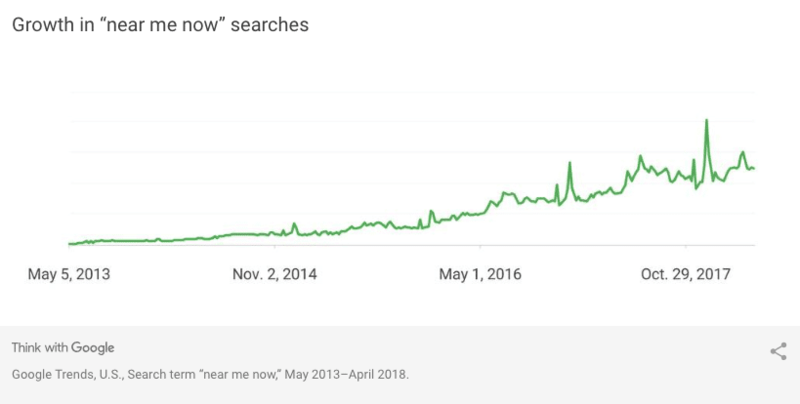 In fact, Google reported a 150% increase in mobile searches for “___ near me now” over the past two years. The company also reported a 200% increase in mobile searches for “Open” + “now” + “near me” (ex. “restaurants near me open now,”), and a 900% increase in mobile searches for “___ near me today/tonight” (ex. “hotels near me tonight”). And when you consider that 28% of searches for something nearby result in a purchase, it’s clear that there’s a lot of value in ranking well for location-based terms. Although the basic goal of local SEO is similar to that of a regular search engine optimization strategy, the steps involved are slightly different. That’s why we’ve put together a five-step guide you can use to start reaching more local searchers. Google My Business is an extremely valuable local SEO tool for business owners because listings from this platform are what appear in Google Maps results. This is true even for businesses that aren’t active on the platform. Even if you’ve never created or editing a listing, Google will still include information about your business in their results and allow other users to edit the details. 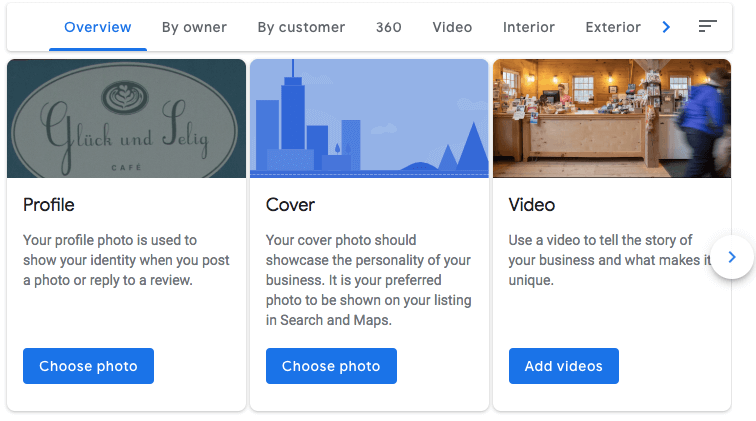 But claiming your business gives you the ability to edit your listing, add additional details and photos, and monitor how users interact with it — all of which can impact when (and where) it appears in search results. So if you haven’t yet claimed your storefront on Google My Business, you’ll want to do this as soon as possible. From here, Google My Business will walk you through the process of verifying the selected location. First, you’ll need to confirm that the address is correct, then add contact information like your phone number and website. Then, choose a primary category to describe your business. You’ll likely see a few in the drop-down list that are accurate, given how extensive they are — but your goal should be to select the phrase that users are most likely to search when they’re looking for a business like yours. 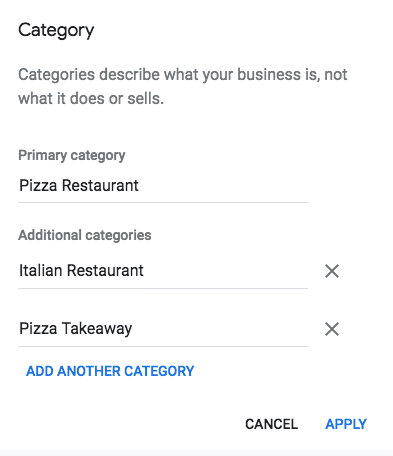 Then, you could select, “Italian Restaurant,” and, “Pizza Takeaway” as secondary categories. This way, you’ll have the chance to appear in Google Maps results when users search any of those phrases. Finally, you’ll need to verify your ownership of your business using the phone number on your listing, or an email address associated with your website. Once you’ve completed this step, you’ve successfully claimed your listing. But there are still a few steps you’ll want to take to improve it. First, click “Messaging” in the left navigation menu to see if users have asked questions about your business. Anyone with a Google account can answer these questions, and their responses appear on your business’s listing. This means it’s essential that their answers are correct. If they aren’t, you can write your own responses, and users will be able to see that they’re coming from the business’s owner. Then, add photos that give potential customers an accurate idea of what to expect if they choose to visit you. Include images of your storefront and interior, along with any others that illustrate the products or services you provide. If you’re running a restaurant, for example, you’ll want to include photos of your food. If you’re a retail store, on the other hand, opt for photos of product displays or your most popular items. And if you’re a service-based business, consider adding photos of your team or completed projects. Regardless of the exact images you use, your goal here should be to illustrate your business in a way that compels searchers to choose you over your competitors. After you’ve fully optimized your Google My Business listing, it’s time to move on to your website. First, you’ll want to have a contact page that includes your business’s name, address, and phone number, or NAP. This information needs to be formatted exactly the same across your website and any other citations like directory listings online. Then, you can also add this information to your site’s footer, so that it appears on every page. This way, visitors will be able to easily find the information they need to get in touch — regardless of which page on your site they land on first. And if you have multiple locations, you’ll need to make sure to include accurate NAP information for each of them on your site. 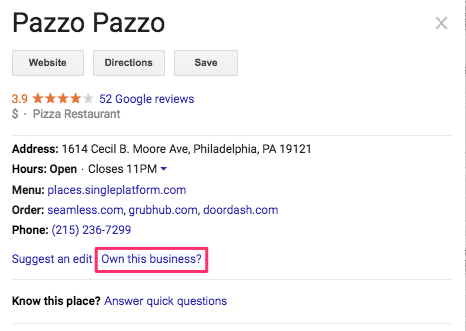 Then, you can create or claim unique Google My Business listings for each, and link directly to the page with that location’s address and contact information. Maintaining excellent content is an important part of any SEO strategy. But your approach to optimizing your content for search should be slightly different if your goal is to reach local customers. That’s because many of these searchers will use keywords and phrases related to specific geographic areas. 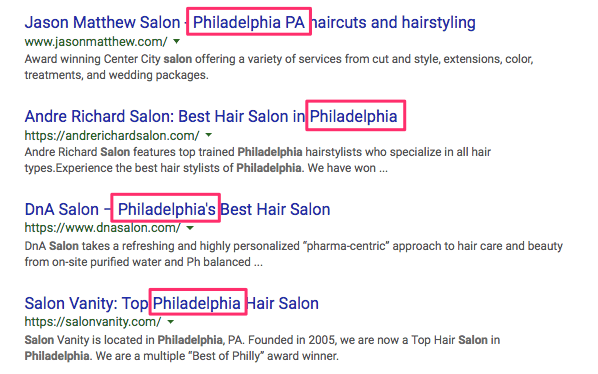 So if your site’s title tags don’t yet include location-based keywords, this should be a priority in your local SEO strategy. And you can do keyword research to determine the best way to phrase your title tags using Google’s suggested search feature. This indicates that these are the exact phrases that searchers use most often. If any of them accurately described your business, they’d be perfect choices to include in title tags. 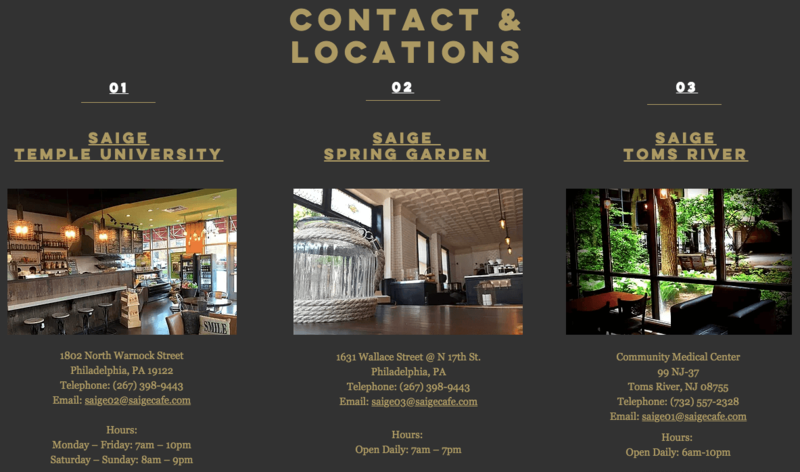 Then, if your business serves multiple cities or regions, you’ll want to repeat this process for the pages on your site specific to those locations. 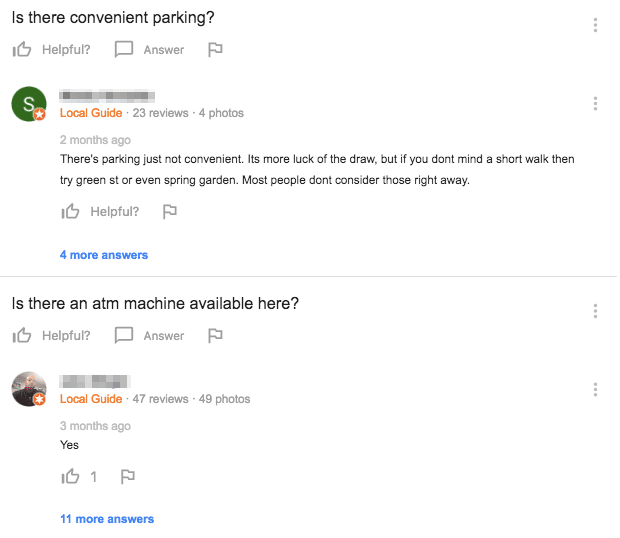 It’s important to remember, though, that not every customer describes location in the same way. 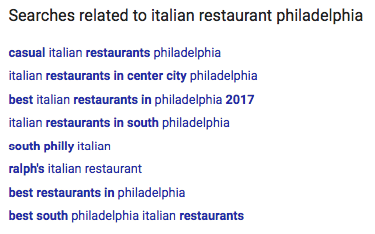 This means it’s important to consider what other terms searchers might use to look for businesses in your area other than the name of your city. Make sure that your optimization strategy accounts for all of the ways potential customers might look for businesses like yours, and you’ll stand a much better chance of reaching them in search results. Many consumers search for local businesses on the go. In fact, smartphones and other mobile devices account for 84% of all “near me” searches. And of those who search for something nearby on their smartphones, 76% will visit of a related business within a day, and 88% will visit a related store within a week. This means that ranking well for local, mobile searchers can directly translate into more customers in your store. But that can only happen if those searchers can easily access and navigate your site on their mobile devices. This requires mobile-friendly design. 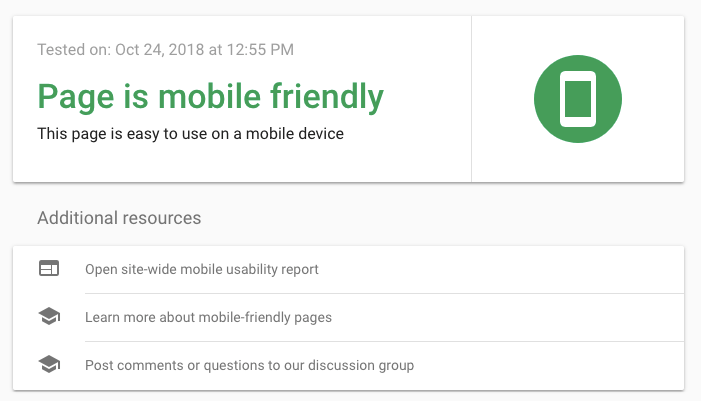 If you’re not sure whether your site is accessible on smartphones and other devices, you can easily find an answer with Google’s Mobile-Friendly Test. Your results will not only tell you whether your site is easy to use on mobile, but also what specific steps you can take to improve. This way, you can make sure your site adjusts to different screen sizes and browsers — so that you never have to worry about missing out on a local customer just because your site is difficult to use. 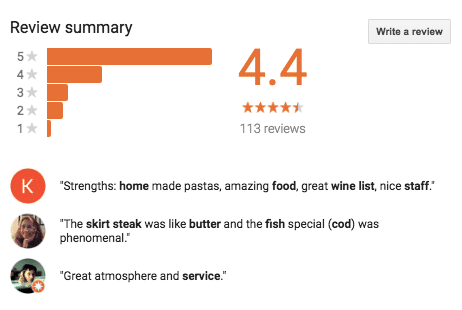 Customer reviews play an important role in consumers’ decisions, which is why they’re featured prominently in Google My Business listings. And although it may sound obvious, it’s in your best interest to earn as many positive results as possible. This not only shows customers that you’re the right choice, but can also help you rank higher in Maps results. Of course, earning positive reviews for your Google My Business profile isn’t nearly as easy as updating the rest of your information. Still, there are a few steps you can take to build up a solid review profile. First, encourage your customers to leave reviews by posting signs in your store. If you send an email newsletter, you might also consider including a link to your Google My Business listing and asking your subscribers to share feedback. Responding to positive reviews shows customers that you value your feedback, and can encourage others who see this to share their own. Responding to negative reviews shows that you care about your customers’ happiness, and are willing to take steps to address their concerns. The clearer it is that you’re listening to their feedback, the more likely your customers will be to share their experiences — and to help you earn the rankings you want in local search. Ranking well for location-based keywords is essential for any local business, and local SEO is the only way to make that happen. Google My Business is an extremely valuable tool in this process and can help you control what information appears when users find you in search results. Plus, optimizing your listing can improve the chances that you appear for relevant searches. Your website also plays an important role in the process. Optimizing for location-based keywords and including accurate, up-to-date contact information will help you make sure that visitors can easily find your physical storefront. Improving your rankings in local search results is an ongoing process, and it will take time to see the results you want. But the sooner you get started, the sooner you can begin to reach even more customers in your area.